The QD Syringe drastically cuts the waste of costly medications down by over 89%, leaving just a scant 18 microliters of residual volume behind. This is a massive money-saving benefit to the healthcare industry and consumers. Christopher Green designed the Bilateral QD GlyfloTechnology™ for the QD Syringe. The uniquely patented cone-shaped tip has bilateral fluid flow channels and a bilateral orifice. This new design also greatly reduces the risks of needle sticks by medical professionals, reduces the spread of infectious diseases, and saves tremendously on medication waste with its low residual volume design and guarantees delivering a less painful injection to the patient. The U.S. Food and Drug Administration today published a first-of-a-kind guidance for medical device manufacturers, describing how the benefits and risks of certain medical devices are considered during pre-market review. Premarket approval (PMA) is the FDA process of scientific and regulatory review used to evaluate the safety and effectiveness of Class III medical devices. Class III devices are those that support or sustain human life, are of substantial importance in preventing impairment of human health, or which present a potential unreasonable risk of illness or injury. The de novo process is available for low- and moderate-risk devices that have been found not substantially equivalent (NSE) to existing devices. When evaluating PMA applications or de novo petitions, the FDA relies upon valid scientific evidence to assess safety and effectiveness. Both clinical and non-clinical data play a role in FDA’s benefit-risk determinations. The guidance includes a worksheet for device reviewers that incorporates the principal factors that influence benefit-risk determinations, such as the type, magnitude and duration of a risk or benefit, the probability that a patient will experience the risk, patient tolerance for risk, availability of alternative treatments, and the value the patient places on treatment. describes an approach that takes into account patients’ tolerance for risks and perspectives on benefits, as well as the novelty of the device. “This guidance clarifies this process for industry, which will provide manufacturers with greater predictability, consistency and transparency in FDA decision-making while allowing manufacturers and the FDA to use a common framework for benefit-risk determinations,“ said Jeffrey Shuren, M.D., director of FDA’s Center for Devices and Radiological Health (CDRH). The FDA will also increase the transparency of the decision-making processes by describing the worksheet analysis in the Summary of Safety and Effectiveness Data for PMAs and the decision summary review memos for de novo decisions. “In addition to bringing clarity to our decision making for industry, this guidance will provide our reviewers with uniform and consistent guidelines to assess probable benefits and risks,” said Shuren. CDRH will train medical officers, review staff managers and device reviewers on the guidance to assure the guidance is applied consistently to submissions and petitions. CDRH reviewers will begin applying the guidance to incoming PMA and de novo submissions and to submissions already under review with decisions beginning on May 1. The FDA is also developing external training modules to help industry and device sponsors understand how CRDH will apply the guidance. What does it mean when FDA “clears” or “approves” a medical device? “approve” the device after reviewing a premarket approval (PMA) application that has been submitted to FDA. Whether a 510(k) or a PMA application needs to be filed depends on the classification of the medical device. To acquire clearance to market a device using the 510(k) pathway, the submitter of the 510(k) must show that the medical device is “substantially equivalent” to a device that is already legally marketed for the same use. To acquire approval of a device through a PMA application, the PMA applicant must provide reasonable assurance of the device’s safety and effectiveness. 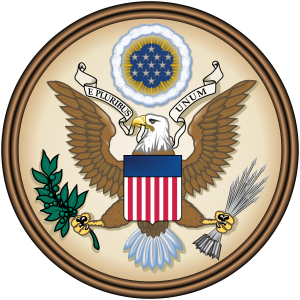 On October 26, 2002 the Medical Device User Fee and Modernization Act of 2002 signed into law. This law authorizes FDA to charge a fee for medical device Premarket Notification 510(k) reviews. This application fee applies to most 510(k)s including Traditional, Abbreviated, and Special 510(k)s, but not those exempted or waived as noted below. Small businesses may qualify for a reduced fee. Payment must be received on or before the time the 510(k) submission is submitted. If the submitter has not paid all fees owed, FDA will consider the submission incomplete and will not accept it for filing. The applicable fee corresponds with the date of receipt of the submission by FDA. Please note that FDA will consider the 510(k) submission incomplete and will not accept it for filing until the fee is paid in full. That is, the date of receipt is the date that the submission has been received AND the fee is paid in full. FDA will adjust these fees each year to account for inflation, changes in workloads, and other factors. The small business fee is 50% of the standard fee. FDA will announce the new fees for the next fiscal year in a Federal Register notice by August 1 of each year. Third-party 510(k) Exempt from any FDA fee; however, the third-party does charge a fee for its review. Any application for a device intended solely for pediatric use. Exempt from user fee. Please note that changing the intended use from pediatric use to adult use requires the submission of a new 510(k). The new 510(k) is subject to the 510(k) review fee at the time of submission. Any application from a State or Federal Government entity. Exempt from any fee unless the device is to be distributed commercially. Payment must be received at or before the time the 510(k) submission is submitted. If the submitter has not paid all fees owed, FDA will consider the submission incomplete and will not accept it for filing. If you believe you qualify as a Small Business and would like to qualify for reduced fees, submit a Small Business Qualification Certification. If you qualify, you will receive a Small Business Decision number. You must provide your Small Business Decision number on the Medical Device User Fee Cover Sheet at the time of submission to be eligible for reduced fees. FDA will not accept reduced fees without a Small Business Decision number and will not refund the difference between the standard fee and the small business fee after the submission has been received. Complete the Medical Device User Fee Cover Sheet and send a completed copy with your payment. Submit your Premarket Notification 510(k) and include a copy of the Medical Device User Fee Cover Sheet with your submission. You should complete the Medical Device User Fee Cover Sheet (Form FDA-3601). The Medical Device User Fee Cover Sheet and instructions are available online. You will need one of the following pieces of information to complete the registration process. Additionally, you will need to identify a Principal Point of Contact (PPOC) in your organization who will be responsible for validating users for security purposes. After you have registered and have created a user name and password, you will receive a confirmation email. You may then access the cover sheet creation page. A unique user fee Payment Identification Number will be generated on your cover sheet upon completion. You will need three copies of your completed User Fee Cover Sheet: one copy for your payment, one copy for your 510(k) submission, and one copy for your records. Frequently Asked Questions addresses common questions regarding the Medical Device User Fee Cover Sheet. Send a printed copy of your User Fee Cover Sheet with your payment. Be sure to include the Payment Identification Number (beginning with MD) and the FDA P.O. Box on your check, bank draft, or U.S. Postal Money Order. The review fee may be submitted by mail, courier, or wire transfer. Also include your User Fee Payment Identification Number from your Medical Device User Fee Cover sheet when you send payment by wire transfer.Note: Your bank or financial institution may assess a fee for sending a wire transfer. If needed for accounting purposes, FDA’s tax identification number is 53-0196965. 2. The date Bank notifies FDA that payment has been received. Bank is required to notify FDA within 1-working day, using the Payment Identification Number. In FY2012 (October 1, 2011 through September 30, 2012), firms with annual gross sales and revenues with $100 million or less, including gross sales and revenues of all affiliates, partners, and parent firms, may qualify for lower rates for Premarket Notification 510(k) submissions. a third party controls, or has power to control, both of the business entities. To qualify, you must submit the MDUFMA Small Business Qualification Certification (Form FDA 3602). In addition, certified copies of your firm’s Federal Income Tax Return for the most recent taxable year, including certified copies of the income tax returns of all affiliates, partners, and parent firms must be provided. The following guidance and form should be used. FDA will review the Certification within 60 days and send its decision that the firm is, or is not, a small business eligible for reduced or waived fees. If your firm qualifies as a small business, the decision letter will include a Small Business Decision number. The Small Business Decision number is used on the Medical Device User Fee Cover Sheet (Form FDA 3601) to demonstrate that your firm is entitled to a reduced fee. If you submit a reduced fee to FDA without a Small Business Decision number, the submission will not be accepted for filing. The small business status expires at the end of each fiscal year (September 30th). A new MDUFMA Small Business Qualification Certification must be submitted each year to qualify as a small business. Questions concerning Small Business Qualification should be directed to Division of Small Manufacturers, International and Consumer Assistance (DSMICA) at 301-796-7100 (800-638-2041). What to Do if You Can’t Find a Sharps Disposal Container? I Can’t Find a Sharps Container! The safest way to dispose of a used needle is to immediately place it in a sharps disposal container to reduce the risk of needle sticks, cuts and punctures from loose sharps. If you cannot find a sharps disposal container right away, you may need to recap the needle or use a needle clipper until you have an opportunity to dispose of sharps in an appropriate sharps disposal container. Never throw away loose needles and other sharps in trash cans or recycling bins, and never flush them down the toilet. If you need to put the cap back on the needle (recap), do not bend or break the needle and never remove a hypodermic needle from the syringe by hand. This may result in accidental needle sticks, cuts or punctures. Recapping should be performed using a mechanical device or the one-handed technique (see below for step-by-step instructions). Recapped needles should be placed in a disposal container at the next available opportunity. Step 3: Push the capped needle against a firm object to “seat” the cap onto the needle firmly using only one hand. Needle clippers make syringes unusable by clipping off the needle. Clippers may be used for needle disposal of small syringes (such as insulin syringes), but not for clipping lancets. After the needle clipper clips off the needle from the syringe, the needle is automatically and safely retained within the clipper. Do not attempt to clip a needle with any tool except a needle clipper designed to safely clip a needle. Before using any of the above procedures, check your community guidelines for acceptable sharps disposal methods. The Center for Devices and Radiological Health (CDRH) Medical Device Fellowship Program (MDFP) provides opportunities for health professionals to participate in the FDA regulatory process for medical devices. MDFP is part of External Expertise and Partnerships (EEP) in the Office of the Center Director (OCD) in CDRH. In addition to MDFP, other components of EEP include Technology Transfer and Partnerships, and the Critical Path Initiative. CDRH regulates a wide array of medical devices and is involved with the latest medical device cutting-edge technology areas such as genomics, proteomics, diagnostics for personalized medicine, percutaneous heart valves, artificial hearts, tissue engineered wound dressing with cells, and bone void fillers with growth factors, and many others. To keep pace with the rapid development of new technology, and to make decisions based on the best scientific information and knowledge available, CDRH routinely consults with experts in the academic community, other government entities, clinical practice, and the military. By filling gaps in expertise for a finite period of time, EEP enhances the efficiency and effectiveness of CDRH operations. EEP is the focal point of all CDRH fellowships and interorganizational partnerships. EEP also fosters scientific innovation by helping offices form partnerships with academia, private sector organizations, and government agencies. CDRH established MDFP to increase the range and depth of collaborations between CDRH and the outside scientific community. The MDFP offers short and long-term fellowship opportunities for individuals interested in learning about the regulatory process and sharing their knowledge and experience with medical devices from the relatively simple to the highly complex. Physicians with clinical or surgical expertise, engineers in biomedical, mechanical, electrical and software areas, and individuals from many other scientific disciplines have participated in the fellowship program. Opportunities are available for students in many areas as well. What is Medical Device Reporting (MDR)? Medical Device Reporting (MDR) is the mechanism for the Food and Drug Administration to receive significant medical device adverse events from manufacturers, importers and user facilities, so they can be detected and corrected quickly. If you are a consumer or health professional you should use the nearby link to the MedWatch program for reporting significant adverse events or product problems with medical products. User Facilities (e.g., hospitals, nursing homes) are required to report suspected medical device related deaths to both the FDA and the manufacturers. User facilities report medical device related serious injuries only to the manufacturer. If the medical device manufacturer is unknown, the serious injury is reported by the facility to FDA. Health professionals within a user-facility should familiarize themselves with their institution procedures for reporting adverse events to the FDA. There is a guidance for user facilities, “Medical Device Reporting for User Facilities”. See its nearby link. Note: Please do not send the actual device to FDA as stated in Block D9 of the MEDWATCH 3500A form. In Block D9 indicate that you are keeping the device or returning it to the manufacturer. Legislation requiring device user facility reporting was enacted by Congress to increase the amount of information the Food and Drug Administration (FDA) and device manufacturers receive about problems with medical devices. Although manufacturers and importers of medical devices have been required since 1984 to report to FDA all device-related deaths, serious injuries, and certain malfunctions, numerous reports have shown there is widespread underreporting. A 1986 General Accounting Office (GAO) study showed that less than one percent of device problems occurring in hospitals are reported to FDA, and the more serious the problem with a device, the less likely it was to be reported. A GAO followup study in 1989 concluded that despite full implementation of the Medical Device Reporting (MDR) regulation, serious shortcomings still existed. Under the Safe Medical Devices Act of 1990 (SMDA), device user facilities must report device-related deaths to the FDA and the manufacturer, if known. Device user facilities must also report device-related serious injuries to the manufacturer, or to the FDA if the manufacturer is not known. In addition, SMDA also required that device user facilities submit to FDA, on a semiannual basis, a summary of all reports submitted during that time period. The device user facility reporting section of SMDA became effective on November 28, 1991. To implement SMDA, FDA published a tentative final rule in the Federal Register on November 26, 1991, and invited comments on the regulation. Over 300 comments were received by FDA. Then, on June 16, 1992, the President signed into law the Medical Devices Amendments of 1992 (Public Law 102-300; the Amendments of 1992), amending certain provisions (section 519 of the Food, Drug, and Cosmetic Act) relating to reporting of adverse events. The primary impact of the 1992 Amendments on device user facility reporting was to clarify certain terms and to establish a single reporting standard for device user facilities, manufacturers, importers, and distributors. A final rule published in the Federal Register on December 11, 1995, addresses the comments received by the FDA and the changes mandated by the Amendments of 1992. Manufacturers and distributors/importers do not need to submit annual certification. User facilities must now file an annual report instead of semiannual reports to summarize their adverse event reports. Sentinel reporting by user facilities was proposed. See the nearby link to amendments to the MDR regulation that implemented FDAMA changes, effective March 27, 2000. The FDA and representatives from the medical device industry have reached an agreement in principle on proposed recommendations for the third reauthorization of a medical device user fee program. The recommendations would authorize the FDA to collect $595 million in user fees over five years, plus adjustments for inflation. Details of the agreement, such as the fee structure, are expected to be finalized soon. Under a user fee program, industry agrees to pay fees to help fund a portion of the FDA’s device review activities while the FDA agrees to overall performance goals such as reviewing a certain percentage of applications within a particular time frame. The agreement in principle is the result of over a year of negotiations between the FDA and industry. It strikes a careful balance between what industry agreed to pay and what the FDA can accomplish with the amount of funding proposed. It would result in greater accountability, predictability, and transparency through such improvements as a more structured pre-submission process and earlier interactions between FDA and applicants. With the additional funding, the FDA would be able to hire over 200 full-time equivalent workers by the end of the five-year program. 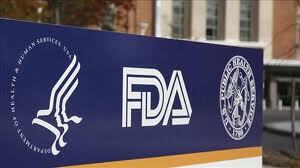 The FDA and industry expect that the agreement in principle would result in a reduction in average total review times. The industry associations who have reached an agreement in principle with the FDA include the Advanced Medical Technology Association, the Medical Device Manufacturers Association and the Medical Imaging and Technology Alliance. MDUFA II authorized FDA to collect user fees for certain medical device applications, for the registration of certain medical device establishments, and for certain other purposes. Small businesses may qualify for a waiver from fees on certain submissions or may qualify for a reduced fee. In September 2010, prior to beginning negotiations with regulated industry, the FDA held a public meeting on the device user fee program attended by a variety of stakeholders including industry, scientific and academic experts, health care professionals, and representatives from patient and consumer advocacy groups. Stakeholders provided their assessment of the overall performance of the MDUFA program and their opinions about which aspects of the program should be retained, changed, or discontinued in order to further strengthen and improve the program. Once the final details of the agreement with industry is completed, FDA will develop a package of proposed recommendations and give the public an opportunity to comment before they are submitted to Congress. The date of the public meeting has yet to be determined. Myth #1: Substantial equivalence involves showing that a new device is similar to an old and outdated product on the market before May 28, 1976. Fact: This is perhaps the most common misunderstanding of the 510(k) program that results in unwarranted criticism. In reality, it is extremely unusual by today’s standards for a new device to go to market with a comparison to a 30-year-old device. The majority of today’s 510(k) clearances result from comparisons to today’s state-of-the-art technology. While it is true that Section 510(k) initially envisioned that products compared to a medical device on the market prior to enactment of the 1976 Medical Device Amendments could be marketed after being determined to be “substantially equivalent” SMDA amended the law to refer to comparisons to “legally marketed devices.” SMDA also established that a new device can not be found substantially equivalent to a device that has been deemed misbranded or adulterated and removed from the market. Additionally, FDAMA authorized FDA reliance on national and international consensus standards which usually reflect state-of-the-art test methods developed to assess the latest in device technology. This evolution in the program, coupled with FDA’s authority to require virtually any data necessary for decision-making, has made the 510(k) program one of the most progressive premarket review programs in FDA. Perpetuating this notion that new devices are simply compared to older devices as a means to market does a considerable disservice to the 510(k) program and undermines the program’s true value and contribution to the protection of the public health. Myth #2: The 510(k) program is a “quick and easy” way for manufacturers to get their product into the market. Fact: The 510(k) program has been designed to provide a flexible means to appropriately regulate a wide variety of medical devices, and places appropriate regulatory requirements where necessary. Contrary to what some detractors espouse, today’s 510(k) program is anything but a “quick and easy” way to market. While 510(k)s for the simplest of devices (e.g., syringes) may experience a streamlined evaluation, consuming less than 90 days of FDA review, any greater degree of regulatory burden would represent a waste of FDA resources with little to no public health benefit. Likewise, modifications to legally marketed devices may be eligible for a review of less than 90 days, but again, the rigor of FDA’s evaluation matches the potential impact of the modification on the safety and effectiveness of the device and relies heavily on the design control provisions of the Quality System Regulation (QSR). For devices that represent significant changes in intended use or involve changes in technology, it is not uncommon for review times to exceed 90 days and require several rounds of FDA review. From a perspective of difficulty and scientific rigor, simple devices may go to market based on a comparison of specifications, but as a device’s public health significance, technological complexity or risk increases, so does the scientific demands imposed by FDA’s reviews. Today, it is common for 510(k) submissions to be based on batteries of non-clinical tests, including testing against national and international consensus standards. Further, it is not uncommon for FDA to require clinical evidence to support certain decisions where this level of scientific rigor is warranted. The necessity for clinical evidence is not solely dependent on the class of the device but is instead derived from the risk analysis that is conducted as part of the design validation aspect of design controls. Manufacturers of class II and class III devices are responsible for complying with design control requirements under the Quality System Regulation. They are therefore responsible for conducting a risk analysis and determining the amount of supporting data, preclinical and clinical, necessary for the premarket submission and maintaining it in the design history file for FDA inspection. The bottom line is that there are instances where the demands of today’s 510(k) review process becomes a barrier to market entry that some companies do not have the ability or financial resources to overcome. Myth #3: Device malfunctions and patient injuries result from devices undergoing 510(k) review and serve as evidence that all devices should undergo the rigors of premarket approval to ensure their safety and effectiveness. Fact: There are many reasons why critics of the 510(k) program argue that all devices should receive premarket approval. Device malfunctions that result in patient injury and device failures discovered in the postmarket period are frequently cited in support of the argument that all medical devices should follow the PMA process. One oft-cited example of a presumed “failure” of the 510(k) process is the Vitek TMJ implant. Five years after clearance of the device, FDA became aware of complaints of injuries attributed to the deterioration of the device material. Subsequently, FDA issued a letter citing good manufacturing practices (“GMP”) and medical device reporting (“MDR”) violations. Based on this unfortunate experience, it has been inferred that had the device been regulated through the more rigorous PMA program, the failures would not have occurred. This line of thinking is simply flawed. Manufacturing problems can only be addressed through robust quality systems, not paper reviews that are conducted at FDA headquarters. Likewise, clinical evaluation in the premarket period cannot identify or predict all problems that may occur when a device is made commercially available and placed in widespread distribution. Further, the long-term effects of devices will never be fully identified and problems eliminated by clinical evaluation in the premarket period, whether the FDA review is through the PMA or 510(k) processes. In essence, the experience cited by the program’s critics is independent of the pathway to market. Most importantly, the 510(k) program is only one of many regulatory controls FDA has in place to ensure the safety and effectiveness of medical devices, regardless of their path to market. In addition to obtaining FDA authorization to market a new device, manufacturers must comply with the other general controls including good manufacturing practices through the Quality Systems Regulation and medical device reporting, as well as any special controls. Special controls may include performance standards, guidance documents, post-market surveillance, device tracking, and other activities needed to provide a reasonable assurance of safety and effectiveness. Myth #4: The Third Party Review Program that is available for select devices subject to 510(k) is an “easier” path to market that avoids FDA review. Fact: Following enactment of FDAMA, FDA has accredited a number of independent third party review organizations to perform the premarket review of select class I and class II devices subject to 510(k) requirements. Like the 510(k) process, the “Accredited Persons Program” is misunderstood and misrepresented and has been a source of unfair criticism. While it is true that this program may speed up the review process, any increase in efficiency is largely attributable to the fact that the review commences immediately upon assignment and usually does not languish in a queue. The premarket review is not conducted by less qualified review scientists. Also, contrary to statements related to the program, including some made to Congress, FDA remains responsible for the final decision and the overall process is no less stringent than one conducted internally by FDA’s review scientists. The FDA recommends that used needles and other sharps be immediately placed in FDA-cleared sharps disposal containers. FDA-cleared sharps disposal containers are generally available through pharmacies, medical supply companies, health care providers, and online. The FDA has evaluated the safety and effectiveness of these containers and has cleared them for use by health care professionals and the public to help reduce the risk of injury and infections from sharps. FDA-cleared sharps disposal containers are available in a variety of sizes, including smaller travel sizes to use while away from home. 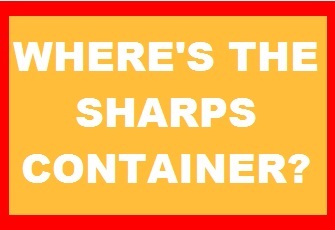 Household containers should also have the basic features of a good sharps disposal container described below. When your sharps disposal container is about three-quarters (3/4) full, follow your community guidelines for proper disposal methods.